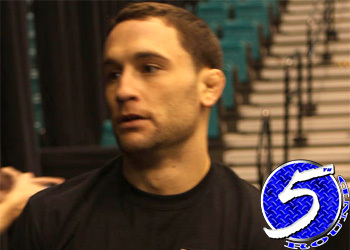 The Nevada State Athletic Commission has suspended nine “UFC 125: Resolution” fighters, including headliners Frankie Edgar and Gray Maynard, for various injuries sustained in their respective scraps this Saturday. The Octagon’s first injury report of 2011 is all about the rhinoplasty, as Edgar, Brandon Vera (obviously), Marcus Davis and Phil Baroni will be riding the pine courtesy of nasal fractures. UFC 125 took place New Year’s Day inside the MGM Grand Garden Arena in Las Vegas, Nevada.